We understand that not everyone has the access to an in-person 8 week MBSR course due to unavailability of the course nearby or due to a busy schedule that prevents a commitment in an external location for consecutive 8 weeks. For this reason, we are pleased to be able to offer a Live Online 8 week MBSR course via the free online conference system Zoom. This way you can participate from the comfort of your home or from travels where ever you are. This Live Online course is an opportunity for beginners to get their first experience of mindfulness or a great chance for mindfulness practitioners to refresh their practice, dive deeper into mindfulness or prepare themselves for a TTR1 Foundation Course or TTR2 Advanced course with us at Mindful Academy Solterreno or some other organization. We have great feedback from former students telling us they have thoroughly enjoyed the group setting and being able to have new insights and understanding into their life when lead by a Senior MBSR teacher. During the course, even when connecting online, the group forms a sense of connection and co-journeying. The Live Online 8 week MBSR course is run exactly the same way as an in-person course. Instead of travelling to an external location once a week however, we connect through the Zoom conference system for 2,5 hours once a week over a period of 8 weeks. The sessions are led in the same way with the same curriculum as in-person courses each session combining didactical parts as well as practice together with the group led by the teacher. After each session participants are given home practice to complete during the following week. Home practice plays an important role in this course and we strongly recommend considering if you are able to commit to practice up 30-60 minutes per day. Mindfulness is an experiential practice, its benefits come through practice, not through intellectually reading or learning about it. To support your home practice, in the beginning of the course we will email to you an extensive Participants Handbook and each week you will be sent that week’s practice as an mp3 file. Home practice includes listening and practicing together with the mp3’s, reflecting and making notes about your experience and practicing some informal practices during your day. During the course, as you practice mindfulness, many different experiences may surface, ones that feel intense and challenging. We encourage participants to stay as well as they can with all that arises, developing a new relationship with the unpleasant experiences. This is an important part of the course, we intentionally learn to turn towards challenges with kindness rather than pushing them away as something we don’t want to deal with. During the course you will learn ways to manage difficult thoughts and emotions as well as anchor yourself with your breath or body if experience becomes overwhelming. The course very much develops our attitude towards whatever is happening in this very moment. We are not able to give time, nor is it part of mindfulness, to talk about the reasons behind the experience. We are interested in what is going on right now and how we can befriend better with our experience in the present moment. The course will teach new ways to handle our body sensations, thoughts and emotions. It develops skills that make us better equipped in taking care of our wellbeing, and managing stress and adversities more effectively – be they physical, mental, social or emotional. Throughout the course you will be developing skills that make it easier to be with whatever we are experiencing, both the positive and negative, pleasant or unpleasant. This allows us to respond to situations more mindfully and from a state of presence rather than mindlessly reacting. During the course you will learn that there are generally two ways we can handle difficulties, either we change the situation or we change how we deal with the situation. And often times the former is not an option so it’s very beneficial to learn new ways of relating to difficulties. This 8-week course 2.5hr format is automatically accepted as entry criteria to the Mindful Academy Teaching Training pathway for Mindfulness MBSR Teachers. Pre-course interview by phone or skype to orientate you to the course and answer any questions you may have. Please allow max. 30 min for this. 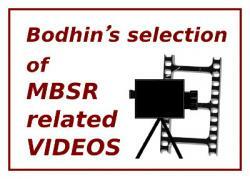 It is also possible to choose the Live Online 8 week MBSR course in a 1 to 1 setup. This is a unique opportunity to go through the curriculum and practice together with the experienced teacher with personal support. Many people take this opportunity to deepen their practice before teacher training despite having taken the course as well. This is also a useful setup for people who have an irregular schedule as the sessions can be planned to suit one’s individual needs. 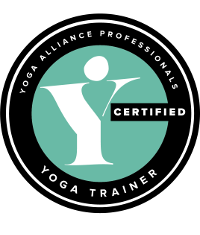 If you go on to sign up for the Teacher training level 1 TTR1 you will receive a 100€ discount when you pay your balance of payment for the TTR1. If you go on to sign up for the Teacher training level 1 TTR1 you will receive a 200€ discount when you pay your balance of payment for the TTR1. To ensure the best possible experience for all participants, the course relies on video conferencing which has minimum requirements to work properly. That includes having a laptop or desktop computer with speakers, microphone, video capabilities, and a high-speed internet connection (not wifi). You will also need to find a quiet space where you will not be disturbed. For the sessions we recommend that you have a dining type chair to sit on, you will also need space to practice some gentle Mindful Movement. To assist you with Zoom, we recommend that you watch a video tutorial online.